Which TV dad is your choice for a Golden Globe? 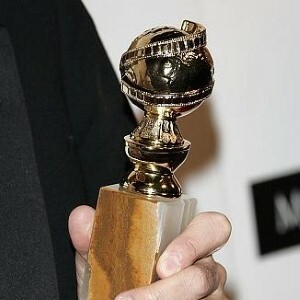 Home » Activities » Movies Reviews » Which TV dad is your choice for a Golden Globe? Helping to kick off the upcoming award season, many people are eagerly awaiting the 2012 Golden Globe Awards honoring the best performances and entertainment across television and film. With some outstanding nominees in the categories of drama and comedy, this year's award ceremony promises to be an excellent night of entertainment. Among the best characters, some uncommon patriarchs struggling to do right by themselves and their families have graced the best actors' list at the Golden Globes. Here are some of the best dads portrayed on television from the last year. Bryan Cranston's character Walter White has come a long way in the four seasons of AMC's Breaking Bad. Walter, a struggling high school chemistry teacher, discovers early on in the series that he has developed fatal lung cancer and only has a few months left to live. With barely any money to support his wife and mentally-handicapped son or pay for his rising medical bills, Walter begins selling illegal methamphetamine as a last resort. However, Walter's noble efforts begin to transform him into an uncontrollable villain. Thomas Jane's hilarious depiction of Ray Drecker, a Detroit high school history teacher and baseball coach, drives the HBO series Hung. Following a difficult divorce, which separated him from his twin children, Ray suddenly loses his home in a fire. With mounting financial difficulties and family problems, Ray decides to earn extra money as a male prostitute with the help of his friend Tanya. Throughout the show's three seasons, Ray struggles to conceal his nighttime gig from his children, ex-wife and school co-workers while retaining a sense of normalcy in his life. While actor Sean Bean was not specifically nominated among the best actors at the Golden Globes, his character, Eddard Stark, drives the fantasy drama Game of Thrones on HBO. Warden of the snowy kingdom of Winterfell, Eddard comes from a long line of noble and unrelenting Starks who have been charged with defending the continent of Westeros from the wild peoples and creatures of the North. As the series begins, Eddard is called upon by the king to serve as his right hand man in the distant city of King's Landing. Separated from his wife and children by thousands of miles, Eddard must unravel a shadowy plot to tear his family and his homeland apart. ABC's mockumentary sitcom, Modern Family, co-stars Eric Stonestreet as the flamboyant and hilarious Cameron "Cam" Tucker. Along with his life partner Mitchell, Cam adopts a Vietnamese baby girl named Lily – thrusting the two into parenthood. As a stay at home dad, Cam often fawns over Lily and delights in dressing her up in cute costumes and spoiling her with presents. Cam's dramatic personality and natural spontaneity contrasts with Mitchell's uptight and reserved manner. However, Cam is also a country boy from Missouri who loves sports, rock drumming and a variety of unusual hobbies such as performing as a clown named Fizbo.